What Is the Emerald Tablet? The Emerald Tablet is an ancient artifact that reveals a profound spiritual technology, which has survived to this day despite centuries of effort to suppress it. Encoded within the tablet’s mysterious wording is a powerful formula that works in very specific and comprehensible steps on all levels of reality at once — the physical, the mental, and the spiritual — and shows us how to achieve personal transformation and even accelerate the evolution of our species. 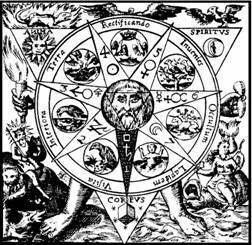 The source of alchemy and the Hermetic sciences, the tablet’s universal approach made it forbidden knowledge, condemned by patriarchal powers for thousands of years, from the Egyptian priesthood, to the medieval Church, to our modern politicians and religious leaders. To ensure the survival of such “dangerous” principles, which guide people to higher states of consciousness, the ancients concealed their knowledge in a succinct declaration that has become a time capsule of wisdom for future generations. Molded out of a single piece of green crystal, the Emerald Tablet carries a prophetic message full of hidden meaning. Although its true origin is lost in legends that go back over 10,000 years, the wondrous artifact was translated into Greek by Alexandrian scholars and actually put on display in Egypt in 330 BC. Around the year 400 AD, it was reportedly buried somewhere on the Giza plateau to protect it from religious zealots who were burning libraries around the world at that time. Many believe the tablet still lies hidden there. The uncredited source of many of the our mystical and religious traditions, the tablet also inspired over 3,500 years of alchemy, a period in which some of the most creative minds in the world delved into the intertwined mysteries of matter, energy, soul, and spirit. Most medieval alchemists had copies of the tablet hanging on their laboratory wall. It was the only guidance they needed in both their meditation and practical work; it served as their Rosetta Stone for deciphering the deliberately obscured terminology of their art. As we enter the third millennium, the ancient formula is resurfacing in what people perceive as mystical or paranormal events. Such experiences are in fact simply the continuing expressions of the underlying alchemy of our lives. For many decades, knowledge of this hidden pattern has been discussed only among an elite group of esoteric scholars, but now, this amazing science of soul is available to everyone. For those with the courage to see beyond the illusions handed down to us by blind tradition, the Emerald Tablet’s formula offers a way to reinstate our rightful relationship with the universe. 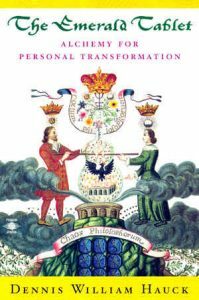 THE EMERALD TABLET: ALCHEMY FOR PERSONAL TRANSFORMATION (Penguin Arkana, March 1999; Illustrated, 448 pages. ISBN 0-14-019571-8, $16.95). This breakthrough new book details the fascinating history of the Emerald Tablet and reveals a chemical-spiritual formula hidden in the lines of this ancient time-capsule of wisdom. Hauck’s translation lays bare the true meaning of the tablet and reveals its hidden but profound influence on our myths and religious traditions. Part of the book is dedicated to the alchemist’s startling predictions for the new millennium, and there is also a section on the alchemy of paranormal and mystical experiences that documents the deep changes undergone by scores of people who have actually experienced the hidden reality of which the tablet speaks. To see what others are saying about THE EMERALD TABLET, click More Information. For details on how to order your own copy, click on the book cover.